Karnataka, the eighth largest state of the Indian Unionis a compact treasure chest encompassing a dazzling array of tourist delights. Ancient monuments, modern cities, teeming wildlife, friendly people, towering hills, endless beaches. A kaleidoscope of exciting experiences to delight the senses. Each spot in Karnataka has something special to offer. Come, delve into the delights that this state has to offer. Assistance upon arrival at Chennai Airport and transfer to Hotel. CHENNAI (MADRAS): Capital of the state of the same name is the gateway to a pleasant land, the city of an ancient civilisation exemplified in its many monuments of the past with a rich heritage of culture. The Marina Beach in Madras is considered to be the second largest beach in the world. Then there is the senate house built in the Indo-Saracenid style, a little further long is the Chepauk palace; built in the Moorish style, there is also an aquarium, with many species of exotic fish. At the northern end of the Marina there is a War Memorial and quite nearby is the Fort St. George within which the most important monument is the Church of St. Mary. This state is also known as the land of temples, the Gopuram of temple tower; with its giant bell ringing dominate the landscape of every town, village and hamlet. 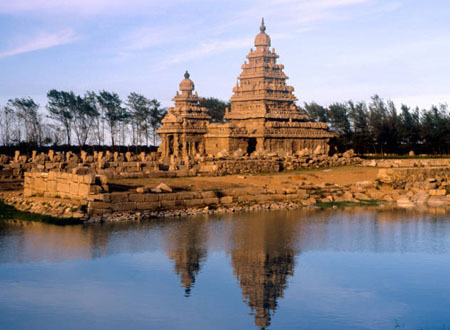 About 60 Kms away is Mahabalipuram known for its rock cut 7th Century monolithic shrines and its beautiful Shore Temple. After breakfast full day sightseeing of Chennai City visiting :- National Art Gallery, Museum, People's Park and Zoo, Fort, San Thome's Catheral along with Marina, Mylapore Temple, Victoria Technical Institute. After breakfast depart Chennai for Mahabalipuram arriving in Hotel . MAHABALIPURAM :-Once a flourishing port of the Pallavas is now a major beach resort. It is 57 Km from Chennai and has a beautiful monument erected by the Pallavas. There are sculptural panels, Caves, Monolithic Rathas and Structural Temples. After settling down leave for sightseeing of Mahabalipuram visiting:- Caves, The Shore Temple, The Five Rathas, Old Light House, Trimurthi Caves ,Varaha,Tiger Caves and Sculpture training centre. After lunch depart Mahabalipuram for Kanchipuram which is a Spectacular Temple City known as city of thousand temples which reflects the Glorious Traditions of South India with its noted temples and visit:- Kanchi Kamakshi Temple , Shri Kamakshi Amman Temple, Shri Kanchi Kamakoti Peetham. After breakfast depart Mahabalipuram for Bangalore arriving in Hotel late in the afternoon. BANGALORE: Founded in 1537 by Kempegowda, a far-sighted local chieftain, Bangalore has blossomed into one of Asia's fastest growing cities. The garden city combines the vibrant pace of a modern metropolis with a quaint old-world charm. According to local folklore the present name - Bangalore, derive from 'Bendakalooru' or the town of boiled beams, a name given by a Veera Ballala, a king of the Vijayanagar dynasty, who having lost his way in the forest was given a bowl of boiled beans by a kindly woman here. The city is known as the cleanest city of India. 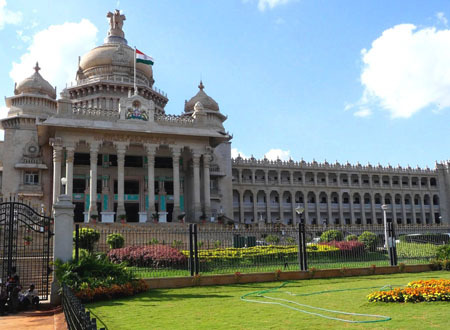 After breakfast leave for sightseeing of Bangalore city visiting :-Cubbon Park, Government museum, Vidhan Sabha, which houses the legislative chambers of the state government. Also explore the Lalbagh Botanical Garden, Tipu Sultan's Summer Palace and Ulsoor Lake. After breakfast depart Bangalore for Mysore visiting en route to visit Srirangapatnam. Srirangapatnam: 16Kms from Mysore is the town of Island fortress , which stands in the middle of the river. Tipu Sultan, the Muslim ruler who has become a legend, waged war against the British with the French alliance from here. He was ultimately defeated here in 1799. After seeing Srirangapatnam, drive straight to Mysore, arriving in Hotel by afternoon. Mysore: Mysore city, known as the Garden city of India is 86 miles from Bangalore(South West) of the Chamundihills serves as a backdrop to Mysore. During the Dussehra season people from all parts of the world come to the city and the nine days celebration of Navratri is climaxed by a spectacular procession by the 10th day Mysore is a great handicraft centre , It is also a sandalwood city, where you find sandalwood agarbathis and other articles. 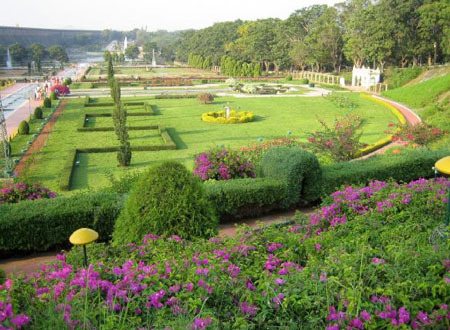 The Brindavana Gardens is a garden located in the state of Karnataka in India. It lies adjoining the Krishnarajasagara dam which is built across the river Kaveri . The work on laying out this garden was started in the year 1927 and completed in 1932. Visited by close to 2 million tourists per year. After breakfast sightseeing of Mysore city visiting: Mysore Palace:- Chamundi Hills , Government Silk Factory , Government Sandalwood Oil Factory, Art Gallery. After breakfast depart Mysore for Hassan visiting en route to visit Sravanabelgola. Sravanabelgola:- 51 kms south - east of Hassan, one of most important Jain Pilgrim centers. Here is the 17mts high monolith of Lord Bahubali - the world's tallest monolithic statue. After visiting Sravanabelgola drive straight to Hassan arriving in Hotel by afternoon. After breakfast excursion to visit Belur & Halebid and will visit a beautiful example of Hoyasala's architecture, The Chennakeshava Temple which took 103 years to complete and also visit The Temples of Halebid bear mute testimony to the rich, cultural heritage of Karnataka. After breakfast depart Hassan for Hospet arriving at the hotel late in the afternoon. After breakfast sightseeing of Hospet visiting :- Chitradurga Fort, Ragunath Temple, King's Balance, the Royal Residence, Museum & Art Gallery, Tungabhadra Dam and Queen's Bath. A full day excursion to Hampi In the morning visiting: King's Palace, Mahanavami Dibba, Lotus Mahal, Elephant Stables, Hazara Rama temple, Vithala Temple , Virupaksha temple, Lakshminarasimha, Badavilinga and the Ganesha images. 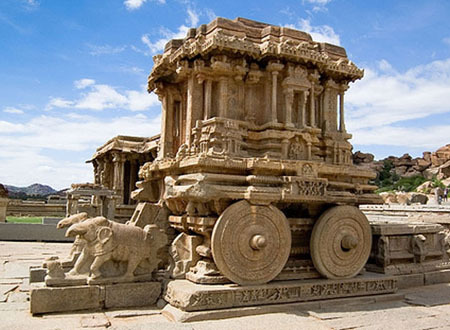 In the afternoon visit Hampi Bazaar, Hemakuta Hill Temples, Krishna Temple and the Pattabhirama Temple. Return to Hospet in the evening. After breakfast depart Hospet for Badami visiting en route to visit Aihole and Pattadakal. Aihole is a town with as many as 125 temples dating back to the 6th – 11th centuries. Pattadakal, a UNESCO World Heritage site, has 10 major temples representing the 8th century Chalukya architecture. After seeing Aihole and Pattadakal arrive in the hotel late in the afternoon. 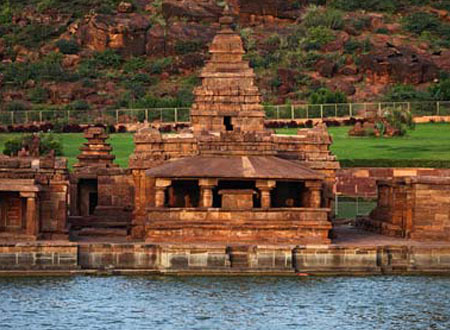 After breakfast sightseeing of Badami visiting the following sites:-Archaeological Musuem, Badami Fort, Bhagavati Temple, Bhuthanatha Temples, Durga Temple, Galaganatha Temple,Ladkhan Temple,Papanatha Temple,Ravanaphadi Caves (7 steps to walk up),Sangameshvara Temple. After sightseeing return to hotel for Lunch. In the afternoon depart Badami for Goa arriving in Hotel by evening. Goa :Unforgettable Goa, a heady blend of serenity and excitement down a 100Kms coastline studded with some of the world's beautiful beaches - Calangute, Colva, Baga, Dona Paula and Bogmalo. 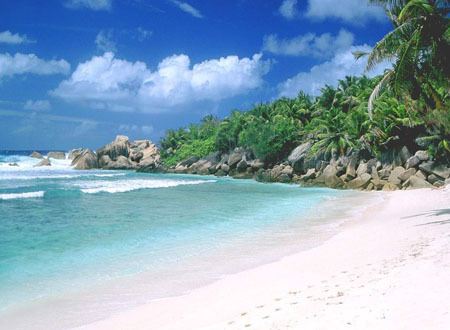 Sun, sea and sand spell the charm of this beautiful seaside resort of India. When most of the country is shivering in the chilly winds and snow, the miles and miles of silvery beaches of Goa revel in the balmy sunshine, the tall palms dancing to the rhythm of the gentle breeze. After breakfast depart for sightseeing of Old Goa visiting:- Basilica of Bom Jesus,Church of Francis of Assisi ,Chapel of St. Catherine ,The Church of St. Cajetan ,St. Augustine Tower,Convent of St. Monica India's largest nunnery.